THC, also known as tetrahydrocannabinol, is the chemical that causes the psychological effects of marijuana. 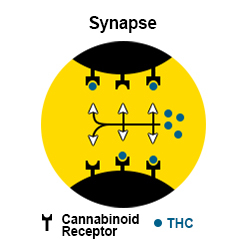 THC has the ability to change a person’s behavior by connecting to the receptors on the nerve cells, which in turn results in a change of activity. In certain parts of the brain that are connected with memory, coordination, thinking, pleasure and time perception, the cannabinoid receptors are concentrated. Nerves in other parts of our bodies also have cannabinoid receptors. The THC will alleviate pain, but it won’t bind itself to the receptors in the brain in the same way that opioids like morphine, heroine and other drugs that come from the poppy plant do. THC creates euphoria by stimulating the cells in the brain which releases dopamine. THC also interferes with the way the brain processes and forms new memories. It can cause a person to have hallucinations and delusions we well as change the way they think. All of these effects of marijuana make the drug a popular one, but in some instances, this concerns mental health advocates. The National Institute on Drug Abuse indicates that using THC can trigger some schizophrenic symptoms. The compound THC is also known to give a person the “munchies” due to stimulation of the appetite. It also induces a person to be in a relaxed state and has an effect on a person’s sense of smell, eyesight and hearing. It is known to cause fatigue, and in some people, it does lessen the symptoms of aggression. Some studies have shown THC works well for treating vomiting and nausea, and it has some anti-emetic qualities. THC, a key ingredient in marijuana, attaches to cannabinoid receptors throughout the body. Several areas of the brain have high densities of these receptors, which help explain the different effects of the drug. 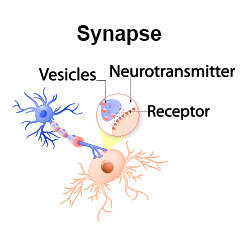 Nerve cells communicate by passing chemical messages across contact points called synapses. The most active ingredient in marijuana, THC, attaches to cannabinoid receptors and modifies nerve action. Cerebral CortexPlays a role in memory, thinking, perceptual awareness and consciousness. Altered consciousness; perceptual distortions; memory impairment; occasional delusions and hallucinations. HypothalamusGoverns metabolic processes such as appetite. HypothalamusIncreased appetite. Brain StemControls many basic functions including arousal, the vomiting reflex, blood pressure and heart rate. It also plays a role in pain sensation, muscle tone and movement. Brain StemNausea relief; rapid heart rate; reduced blood pressure; drowsiness. Pain reduction; reduced spasticity; reduced tremor. HippocampusIs key to memory storage and recall. HippocampusImpairment in memory. CerebellumGoverns coordination and muscle control. CerebellumReduced spasticity; impaired coordination. AmygdalaPlays a role in emotions. AmygdalaAnxiety and panic in some cases; reduced anxiety and blocking of traumatic memories in other cases; reduced hostility. Estimated percentage of people in a national survey who used a substance at least once and became dependent. Source: The National Comorbidity Survey, which included 8,098 participants and was supported by the National Institute on Drug Abuse; results published in Experimental and Clinical Psychopharmacology, 1994. HypothalamusGoverns metabolic processes such as appetite. Increased appetite. Brain StemControls many basic functions including arousal, the vomiting reflex, blood pressure and heart rate. It also plays a role in pain sensation, muscle tone and movement. Nausea relief; rapid heart rate; reduced blood pressure; drowsiness. Pain reduction; reduced spasticity; reduced tremor. 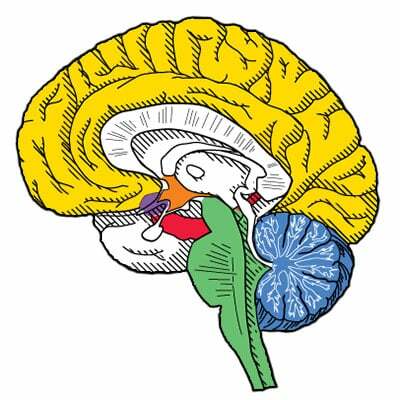 HippocampusIs key to memory storage and recall. Impairment in memory. CerebellumGoverns coordination and muscle control. Reduced spasticity; impaired coordination. AmygdalaPlays a role in emotions. Anxiety and panic in some cases; reduced anxiety and blocking of traumatic memories in other cases; reduced hostility. 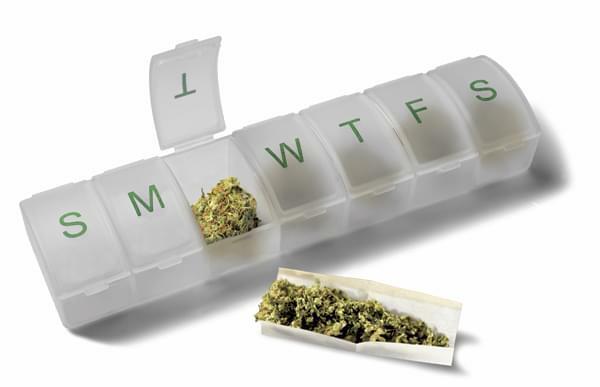 There is an ongoing debate regarding marijuana being used beneficially as a medication. Doctors speaking for the FDA during their 2004 congressional temtimony said that marijuana is hard to test for safety and efficacy because the active chemical can vary from plant to plant. This might be a problem for a patient trying marijuana. They also added that the FDA will be receptive to all scientific research into the use of marijuana for medicinal purposes. The THC works by altering the transmitter release inside the spinal cord and results in relief of pain. THC is just one of the many compounds that are excreted from the glands of a marijuana plant. The glands are usually found in the reproductive organs on the plant versus other areas of the plant. Some of the other compounds found in marijuana, such as cannabinoids, are also found in the resin and might lessen the effects of the THC. Exposed to the air, the THC degrades into a cannabinoid that has its own effects psychologically. 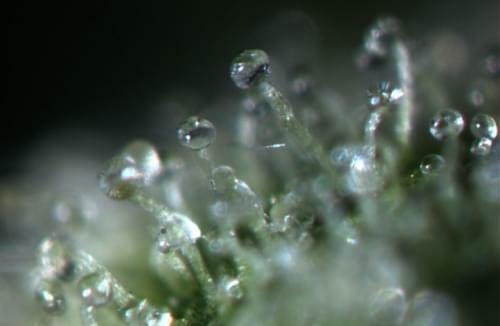 The concentration level of THC depends on the way the marijuana plant is cultivated. Cannabis that contains the minimal amount of THC, up to one percent, is grown as hemp. The THC can be removed from marijuana or synthesized for things, like the FDA drug dronabinol. The word marijuana means “Maria” (Mary) and “Juana” (Jane). The Oxford Dictionary states the word comes from Nahuatl and means “a prisoner”. What is The Drug Cannabis? - When used as a recreational drug, the cannabis can come in different forms including an herbal dried plant, a powder form, a resin or oil. The slang terms for cannabis are dope, pot, hash, weed and grass. Marijuana, or cannabis, is more known as being an illegal drug sold on the streets. It is rolled up like a cigarette into a “joint” or a “blunt”, used in a pipe, added to foods or brewed in tea. When it is consumed as a food, it has psychoactive and physiological effects. To have any kind of psychoactive effect, at least 10 micrograms of the THC is needed per every kilogram of body weight. What Forms of Cannabis do People Use? HASHISH: This form of marijuana can be chewed or smoked, and it is the concentrated resin that comes from the top of the flowering cannabis plant. HASH OIL: Hash oil can be smoked, consumed orally or vaporized. It comes from a solvent extraction from the cannabis and has a high level of concentrated oil. RESIN: Resin comes from an accumulation of residue found on the utensils used when smoking marijuana. In most cases, if a user is out of marijuana, they can steam the utensil with water at a low temperature and scrape the contents of resin out. 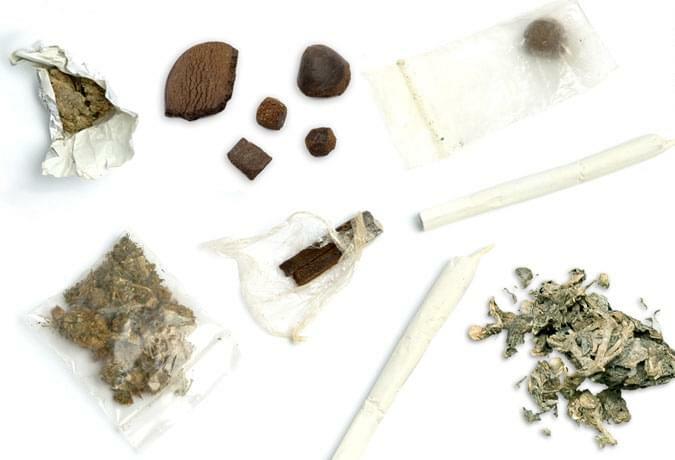 HASHISH – this form of marijuana can be chewed or smoked, and it is the concentrated resin that comes from the top of the flowering cannabis plant. 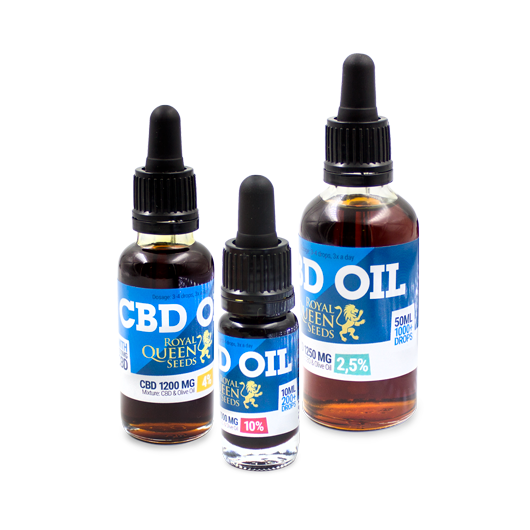 HASH OIL – Hash oil can be smoked, consumed orally or vaporized. It comes from a solvent extraction from the cannabis and has a high level of concentrated oil. RESIN – Resin comes from an accumulation of residue found on the utensils used when smoking marijuana. In most cases, if a user is out of marijuana, they can steam the utensil with water at a low temperature and scrape the contents of resin out. There have been many studies that show the many benefits of using cannabis as a form of medical marijuana. Marijuana has been known to improve the sense of taste and appetite in patients with cancer. Marijuana improves the symptoms of long-term neuropathic pain. This is usually pain resulting in an injury to the nervous system. Marijuana can help relieve pain after major surgery. The chemicals in marijuana help slow the growth of prostate cancer. Substances found in cannabis help alleviate dermatitis symptoms. Current and future studies will continue to be performed by scientists and specialists to determine the benefits of marijuana in humans. THCA and THC: What’s the Difference?